in a row vertically or diagonally. Line 3 or more hex pieces together to get them to disappear. Careful, you have a timelimit. There are special blinking hexas to vaporize more objects. If you want to play 9 Dragons Hexa games online you have come to the right place! GamesLoon adds new 9 Dragons Hexa games every week. 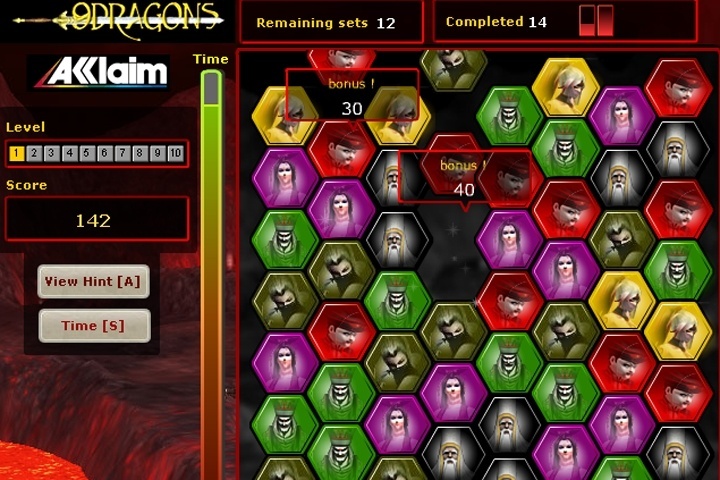 This is your game portal where you can find the biggest collection of free 9 Dragons Hexa games online. Do not forget to rate our 9 Dragons Hexa free online games while playing!